Add LED Lights to Your Home! The team at Henderson Electric of NWF knows how important it is for you to have a well-lit and comfortable home. By updating and upgrading your ceiling fans and light fixtures, you’ll see better, increase air circulation, and save money on your utility bills! 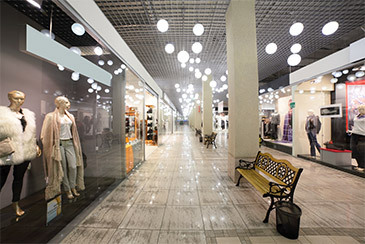 Our commercial lighting experts will analyze your current lighting system and point out where a lighting upgrade can save you money. 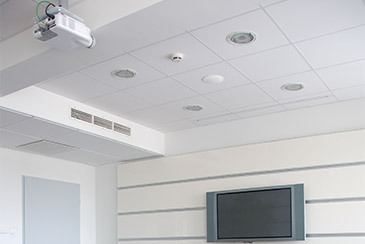 All work is performed by trained and certified electricians who know the importance of getting the job done right. If your home was built over 40 years ago, there’s a good chance it was wired with aluminum. This material has been shown to create several unsafe conditions as it ages. To keep your home safe, call Henderson Electric of NWF to schedule your home rewiring! Henderson Electric of NWF has built a reputation of quality electrical professionalism and strives to build solid relationships with clients to successfully complete any task that is given. Starting out as a small residential company back in 1955, Henderson Electric of NWF has grown to a more industrial/commercial type of company specializing in large Design/Build Government & Military Projects. With a dedicated office staff and a highly skilled field crew, Henderson Electric of NWF is capable of taking on some of the largest and most complex projects while being able to complete the job in a timely fashion with excellent workmanship. Whether local or out of town projects, Henderson Electric of NWF has become a staple for quality in the electrical field. The home office is located in Fort Walton Beach, Florida. If you live in an older home, having your home rewired may be essential. 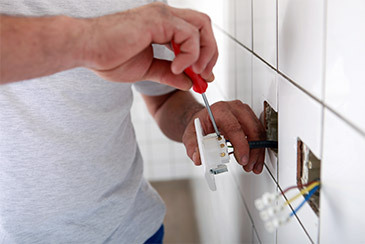 If you want to protect and preserve your home, you must ensure your home’s wiring system is updated and modern. In addition to being critical for safety, this is a great way to boost your home’s value. Here’s what you need . . .